Have an idea that you’d like to commercialize? Looking for help with production? Closing a plant? Gagne Foods can help with contract manufacturing and frozen product customization. We specialize in high quality, food grade recipe development and product customization for frozen laminated dough applications. 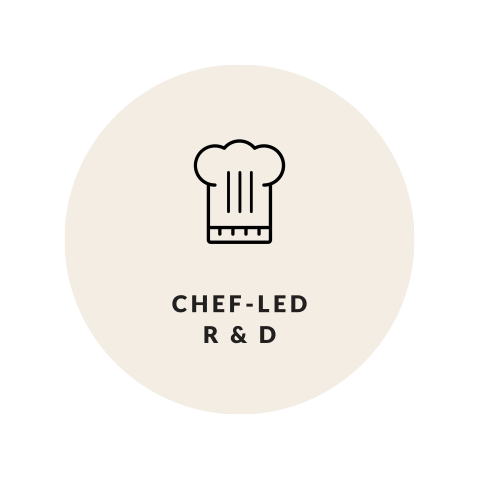 We welcome you to meet with our chef-led R&D team and our quality control team to discuss your project specifications. Food safety and quality are our primary concerns. We are proud to be GFSI compliant, SQF Level 3! If your products require Kosher or Organic certification, we can meet your needs. Contact us with your specific frozen dough needs—we work with companies both large and small.